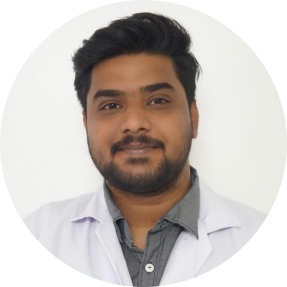 Director Spinalogy Clinic, Kalyaninagar, Pune. 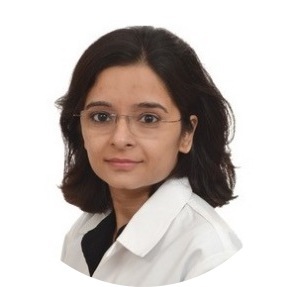 Dr. Poonam completed her MD in Anesthesiology from Delhi University. She got trained in pain medicine from Daradia Pain Foundation, Kolkata and secured first position in the examination. She also completed a fellowship in Pain Management from Virinichi Hospitals, Hyderabad. She has also done a Fellowship in Palliative Medicine from Maharashtra University of Health Sciences at Cipla Palliative Care Centre. 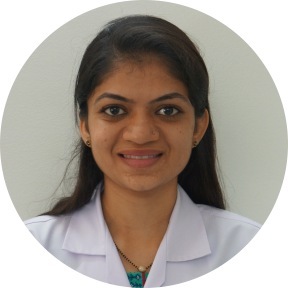 She has also been selected for Multidisciplinary Pain Management Program by International Association for Study of Pain, at Jaslok Hospital, Mumbai. She has participated in various workshops and conferences in Pain and Palliative Medicine. She is an active member of International Association for Study of Pain, Indian Society for study of Pain, Indian Association of Palliative Care, Indian Society of Anesthesiology, Indian Medical Association, Medical Council of India, Indian Society for Critical Care Medicine. Residency at University College of Medical Sciences & Guru Teg Bahadur Hospital, Delhi University Senior Residency at CNBC Hospital, New Delhi Assistant Professor (Anesthesia, Critical Care and Pain Medicine) at B.J Medical College & Sassoon General Hospital, Pune. Consultant Pain and Palliative Medicine at Columbia Asia Hospitals, Pune. Evaluation of knowledge, attitude, and practices of nurses regarding pain management in tertiary care hospitals of Pune, India. Indian J Pain 2018; 32:30-5. Stellate ganglion block for persistent idiopathic facial pain. Indian J Pain 2016; 30:207-8. Anesthetic Management of Bronchial Resection in a child – Journal of Pediatric Anesthesia 23(3):298-300 · March 2013. An Insight- Biliary Atresia in Infant- ISA News Bulletin (Delhi Chapter): 6 October 2010. Management of Chronic body pains, Joint pains, Cancer Pain, Shoulder pain, Back pain, Neck pain, Knee pain, Post Herpetic Neuralgia, Diabetic Neuropathy, Scar Pain, Headache, Migraine, Complex Regional Pain Syndrome, Heel Pain, Facial Pain, Osteoporosis. Palliative care for patients suffering from terminal illnesses like Cancer, Heart failure, COPD, Kidney failure, Neurological disorders like Stroke, Motor Neuron Disease, Parkinsons disease, Alzeihmer’s disease. She has participated in physiotherapy conferences and workshops. She has vast experience as clinical physiotherapist treating patients with neck pain, back pain, joint pain, shoulder pain, myofascial pain conditions. She also provides ergonomic counselling regarding daily activities of patients to prevent pain arising from improper postures. She has expertise in manual therapy include soft tissue mobilizations, massage, stretching and strengthening of muscles. She is also experienced in using electrotherapy for treatment of chronic pain conditions. She completed her B.P.T from Shree K. K. Sheth Physiotherapy College (Rajkot, Gujarat). She is a member of Indian Association of Physiotherapy (MIAP). She is also a Certified Food and Nutrition counselor. SPECIALISATION : Manual therapy with mobilization of different joints and manipulation. He has attended various conferences and workshops at state and national level. He is highly skilled and experienced in manual therapy with mobilization of different joints and manipulation as well. He has vast experience in treatment of musculoskeletal and orthopedic pain conditions, sports injuries and rehabilitation of stroke patients. His research paper on Tennis Elbow pain “Efficacy of Scaphoid Mobilization on Pain, Physical Function and Kinesiophobia in Patients with Lateral Epicondylitis” is published in International Journal of Health Science and Research. Dr. Chaitanya has completed Bachelors of Physiotherapy (B.P.Th) from Tilak Maharashtra Vidyapeeth. He has participated in workshop on “Taping in Musculoskeletal Conditions”. She has immense experience and expertise in clinical practice as an ayurvedic physician. Her area of interest is chronic pain especially back pain and knee pain. She is experienced in panchakarma procedures like Basti (enema therapy), Raktamokshana (bloodletting therapy), Virechana (purgative therapy), Vamana (emesis therapy), Nasya (nasal therapy), Agnikarma (cauterisation). She has successfully treated patients with chronic pain like Back pain, Sciatica, Cervical spondylosis, Osteoarthritis, Rheumatoid arthritis, Gout, Frozen shoulder. She specializes in Agnikarma and Raktamokshana therapies for chronic pain. 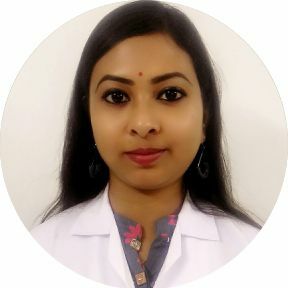 Dr. Priyanka Roy has completed Bachelors of Ayurvedic Medicine and Surgery (BAMS) from Rajiv Gandhi University of Health Science, Bangalore (Karnataka).